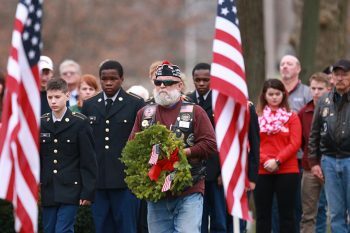 The Worcester Wreath Company, through a campaign called Wreaths Across America, began donating holiday wreaths in tribute to Veterans laid to rest at VA’s national cemeteries and state Veterans cemeteries in 2006. This is the 11th year of Wreaths Across America events at VA national cemeteries and state Veterans cemeteries and the 25th year at the Department of the Army’s Arlington National Cemetery. All 135 VA national cemeteries receive at least seven wreaths, one for each service branch, one for the Merchant Marines and one for Prisoners of War and those Missing in Action (POW/MIA). 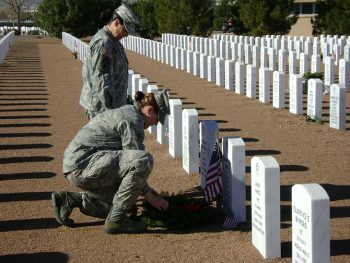 Community and Veteran service organizations, and often times local businesses, will also raise money for additional holiday, or “remembrance wreaths,” at as many grave sites as possible. Such ceremonies as these align with the National Cemetery Ad ministration’s mission which seeks to increase public awareness by sharing the stories of our nation’s Veterans through research, education and community commemoration of those who built the national legacy. Men and women of all ages are encouraged to visit a VA national cemetery this Saturday to help place wreaths and remember our nation’s Veterans this holiday season. For a listing of Wreaths Across America ceremonies at VA’s national cemeteries, please click here to visit the website. 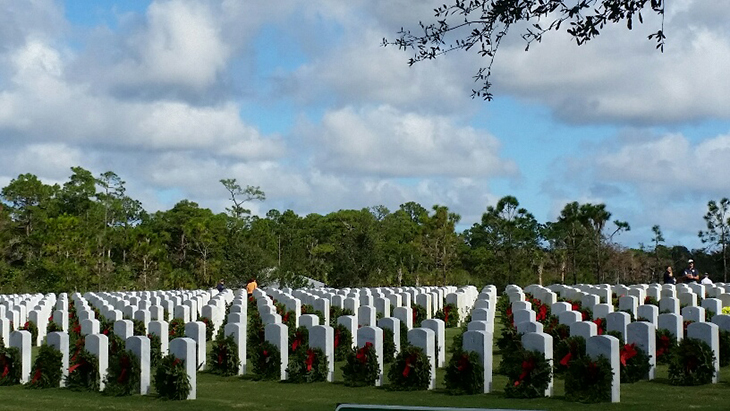 If you visit a national cemetery for Wreaths Across America, don’t forget to share your photos with us.Email us at NCANews@va.gov or use the hashtags #HonoringVets #WreathsAcrossAmerica. About the author: Jessica Schiefer is a public affairs specialist with the National Cemetery Administration.